Kodi 18 Leia: Do You Really Need It? This Guide Will Help You Decide! Kodi 18 Leia: Do You Really Need It? This Guide Will Help You Decide! The Untapped Gold Mine Of Kodi 18 Leia That Virtually No One Knows About! As you’ve probably heard by now, Kodi 18.1 has been finally released – and we’re sure that many of you have plenty of questions. What’s new in Kodi 18, and what’s changed? How to safely update your Kodi, and what to do if a problem arises? And finally, which addons, builds, and skins you can install for your brand-new Kodi? Well, you’ll find all your answers here. We’ve been following the development of Kodi 18 for quite some time now, and we’re prepared to share our knowledge. So, let’s take a deep look at Kodi 18 Leia, its new features, ways to install/update, and plenty more. Why Did it Take So Long for Kodi v18 To Be Released? One of the first articles on TechNadu about Kodi 18 Leia was published more than a year ago (December 2017), titled ‘Kodi 2018 Predictions’. As you can see, we’ve predicted that Kodi 18 will come in the first half of 2018, after taking a look at dates of previous major releases. However, we’re long past those dates now – and Kodi’s developers have had plenty of time to work on their project. We’ve started to see the first Kodi 18 Alpha versions back in March od 2018, while the first Kodi 18 Beta appeared in August. Several months ago, Kodi 18 has received its first Release Candidate. As you can see, we’re talking about many months of hard work, as illustrated in the table found below. As said by Kodi’s development team, Kodi 18 Leia has been under development for close to 2 years. This might come as a surprise, given that Kodi typically releases a major new version every year. This means that the work on Kodi 18 began before Kodi 17 was released. And to illustrate the complexity of the latest Kodi version, let’s take a look at the release dates of previous Kodi versions. It’s evident that Kodi 18 Leia is one of the most comprehensive releases, at least judging by the time it took to develop and publish the final product. So now, let’s take a closer look at Kodi 18 Leia and see what kinds of features it brings. 10 New Features & Improvements of Kodi 18 That You’ll Want to Try Straight Away! With over 500,000 new lines of code (and half a million lines removed), you know that Kodi 18 Leia went through numerous changes. However, these are mostly under-the-hood changes that make the latest Kodi version more stable than before. So, let’s take a look at what’s new. As reported by our team more than a year ago, Kodi 18.0 now supports gaming. More precisely, it makes use of numerous emulators that can run retro games. And to make this whole experience enjoyable, Kodi 18.0 supports new input types, which includes gamepads, joysticks, and more. 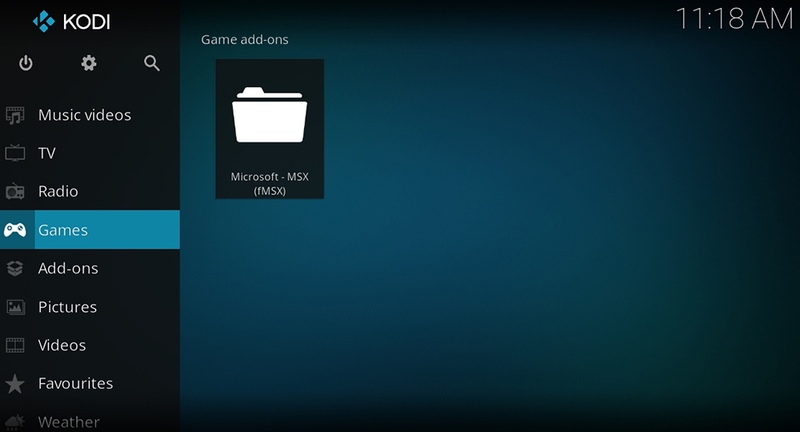 To get started with gaming and emulators on Kodi 18.0, you need to open a new ‘Games’ category found on the main menu. Then, you’ll be asked to install one of the supported emulators. There aren’t too many options right now, but just enough to get you started. Kodi’s developers have announced that they’ll be working hard on this feature, so make sure to check for gaming-related information in the future. When you launch Kodi 18 Leia for the first time, you’ll see a very familiar interface. 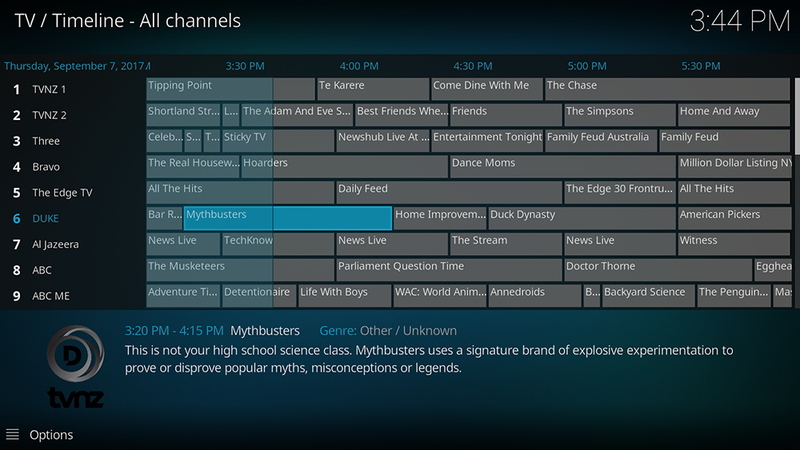 Aside from a few subtle changes, almost everything looks close to identical to the previous major Kodi release. You will also see another change when you enter the application’s Settings menu. There’s still a grid of different groups of settings which has been reorganized. At the top, you’ll find the most frequently used options that take you to Kodi’s File Manager, Add-ons Section, System Information, and Event Log. All the options that you already know are still here, they’ve just been moved around a bit. In general, Kodi’s team focused on improving the playback of 4K and 8K videos, supporting technologies like HDR and more. And there’s now even broader support for various codecs. To make sure all of these features run fine, Kodi has been optimized to take full advantage of your CPU/GPU, which should bring improvements across different platforms and devices. In terms of Blu-Ray support, you should see improvements related to disc detection and metadata. Kodi is also now an incredibly capable 3D video playback platform by working with more codecs supporting this format. And when it comes to audio, Kodi 18 fully supports audio files types such as ALSA, OSS, PulseAudio, Pi Audio, DirectSound, WASAPI, Darwin, and SndlO. You already know that you can import music to Kodi. Once you do that, you’ll see a completely different side of Kodi with prominent album artwork and playlist options. However, the problem was that Kodi’s music library was somewhat confusing and much less polished than its video library, which is something that’s changed in the latest major revision. 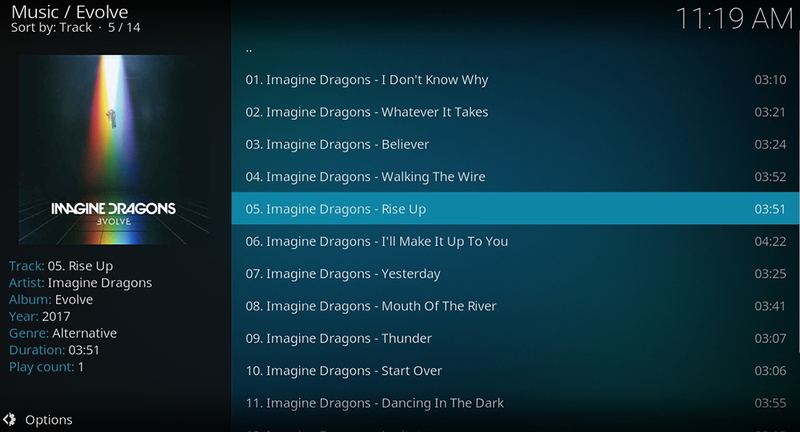 Kodi 18 comes with a much cleaner music library that’s also easier to use. 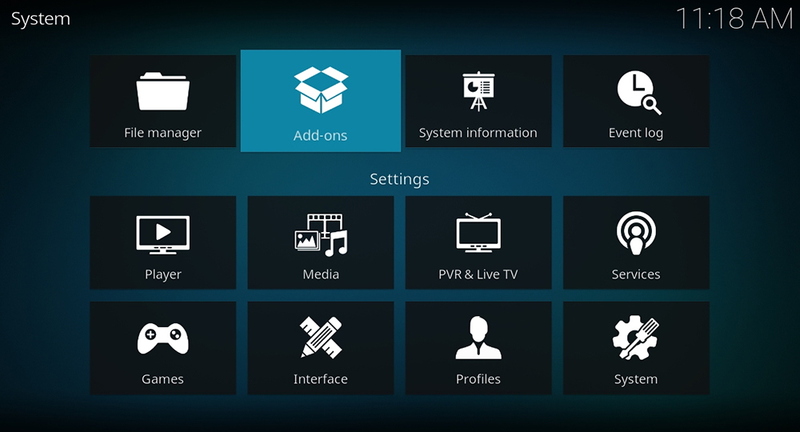 No matter on what kind of device you use Kodi, new controls are adapted to different types of inputs. This means that moving through your music library can now be (effortlessly) done via keyboards, mice, or remotes. For a while now, Kodi has been offering a way to watch live TV (and we’re not talking about streaming live TV over the Web). By using a USB tuner, you could use Kodi to watch local and cable TV stations and therefore keep Kodi in the focus on your home entertainment. However, this isn’t something that was hugely popular, and Kodi’s developers have decided to cut back. Kodi 18 Leia provides a way to watch live TV but this isn’t a built-in feature anymore. This means that PVR now doesn’t come built into Kodi, but is now a separate add-on that you can install from Kodi’s official library. In turn, this has significantly reduced the size of Kodi’s installation file. And finally, you should know that this affects Kodi for Windows, MacOS, and Android. Ever since it allowed third-party addons, Kodi has been associated with piracy and copyright infringement. The application’s open source nature certainly has its good sides, but it doesn’t come without serious legal issues such as piracy. That’s one of the reasons why Kodi 18 Leia was made to play nice with DRM-protected content. To invite legal content onto this platform, Kodi 18 can now play DRM-protected files. Now, it’s up to media streaming companies to take advantage of this offer. We’re sure that some smaller companies are going to develop for Kodi since it’s such a widely-accepted platform. Theoretically, well-known services such as Netflix can also take advantage of this, even though there aren’t any official news about this. Every Kodi version further evolves this application in one way or another. However, Leia also returns Kodi to its roots. In case you didn’t know, this application started its life as a home theater solution for Xbox. However, things have changed and both Xbox and Kodi are now entirely different beasts. That’s why you’ll be happy to know that Kodi 18 Leia is available for Xbox One. For this to happen, Kodi had to be transformed into a 64-bit application. If you’re a Windows 10 user, you’ve noticed Microsoft’s efforts to produce a unified App Store for different types of devices. 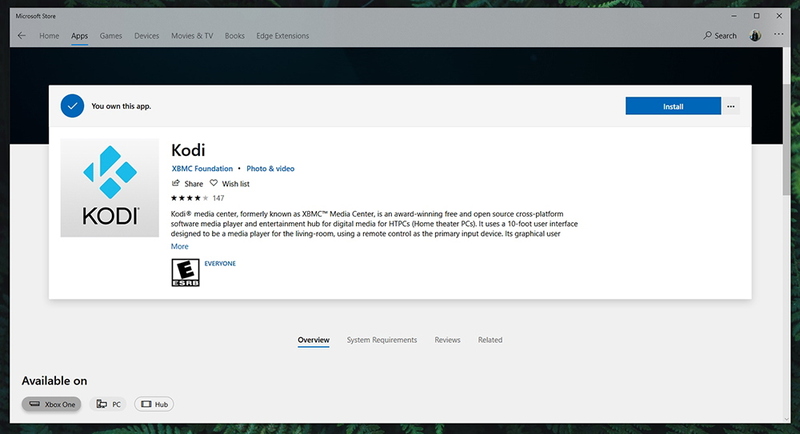 Well, Kodi isn’t just available on the Xbox App Store – you can also find it on the Windows 10 App Store. This means that you now have two ways to install Kodi on Windows. And finally, it should be noted that Kodi 18 Leia doesn’t support Windows Vista and older Windows versions. You’ve probably noticed that Android (as well as Android TV) has become incredibly polished during the last few years. For Kodi, this means following new development standards and taking advantage of new options found in this operating system. When it comes to Android TV, Kodi now supports the ‘Leanback search integration’. 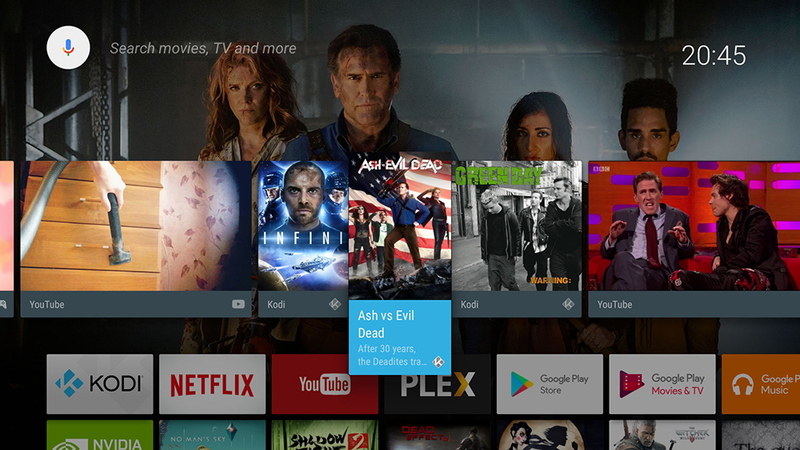 This means that Kodi can now proactively show you movies and TV shows on your Android TV’s home screen. And if you search for something specific, Android will now include your content found within Kodi. Let’s also not forget to say that Kodi now supports Google Assistant. You can issue voice commands related to Kodi, which should help you navigate the application much easier than before. When it comes to Linux, Kodi’s developers have said that plenty of under-the-hood changes were made. Most prominently, Kodi 18 Leia now features a new display server protocol. The main goal of this change was to make Kodi compatible with a wide range of display drivers. This means that compatibility issues are now minimized, and you can run Kodi without any problems, out of the box. Lastly, Kodi’s developers have made it much easier to keep track of changes in new builds. This helps both third-party developers and regular users, who can now rely on Kodi’s Wiki pages for additional information. And developers can take look at Kodi’s new GitHub page where they’ll find all the information they need about making contributions. In case you’d really like to dive into all the new changes and improvements, you can take a look at the full changelog of Kodi 18. Want to Try The All-New Kodi? Here’s How to Install Kodi 18 Leia on Various Platforms! We’re sure that you can’t wait to download and install the all-new Kodi 18 on your device – and we are here to help. We’re going to list our dedicated articles for specific platforms, allowing you to easily install Kodi in a matter of minutes. So, here they are. Some of you might have Kodi already installed and you wish to upgrade. The good news is that you can simply overwrite the existing installation. For more information, here’s how to update Kodi on various platforms. And let’s not forget to mention that using a VPN with Kodi is mandatory. This kind of software will unblock pretty much any streaming source within Kodi, keep you safe online, and even hide your activity. Learn more about what are VPNs, and then read our article on how to install a VPN on Kodi. If you need some trustworthy suggestions, here are the best VPNs for Kodi right now. Next, Learn How to Take Full Advantage of Kodi 18 via Our Step-By-Step Guides! When you install Kodi 18 Leia, you’ll want to populate it with your content. It would be also interesting to take a look back at Kodi and learn it from the ground up, especially if you’re brand new to this application. First, here are TechNadu’s step-by-step guides on populating your library with your own content (music, videos, photos, and more). We also have must-read articles if you’re a new Kodi user. To fully understand this application and to dive into helpful tips and tricks, check out the following articles. What Are The Best Addons/Skins/Builds for Kodi 18 Leia? To help you find the best Kodi addons, builds, skins, and repositories, we’ll give you some recommendations. So, here’s everything you need to know about enriching your Kodi 18 Leia with third-party content. Addons allow you to add new content sources, essentially turning your Kodi into a fully-featured streaming machine. However, the problem is that there are thousands of them, many of which don’t work as advertised. So, install only the proven Kodi addons. And don’t forget that you need to enable unknown sources on Kodi first. To learn how to install all of those, and to take a look at 100+ additional options for movies, TV shows, sports, and more, here’s our article on the best Kodi addons in 2019. Builds are the best way to install dozens of fully-working addons, all at once. There’s plenty to pick from, but you should only go for reputable ones. With this said, check out the best Kodi builds of 2019, where you’ll find more than 20 builds right now. Kodi 18 Leia comes with the same UI present in its previous version. If you’re not fond of it, or if you simply want to try out a new look, you can install a custom build. Many of those are quite exceptional, completely changing the way Kodi that works. So, here are the best Kodi skins of 2019, containing our list 15 hand-picked options. And if you wonder how to change your Kodi’s looks, you should know that this process is quite simple. Here’s how to change skins on Kodi. To dive into the world of Kodi addons, you have to rely on repositories. However, staying on top of those can be tricky as many of them stop working overnight. We have the most up to date list for you, so check out the best Kodi repositories 2019. Here’s How to Easily Resolve Technical Problems With Kodi 18 Leia! Kodi 18 has been in the works for a long time now, and it’s incredibly stable. However, just like with any software, some problems might happen when upgrading. So, we’re here to offer a solution. 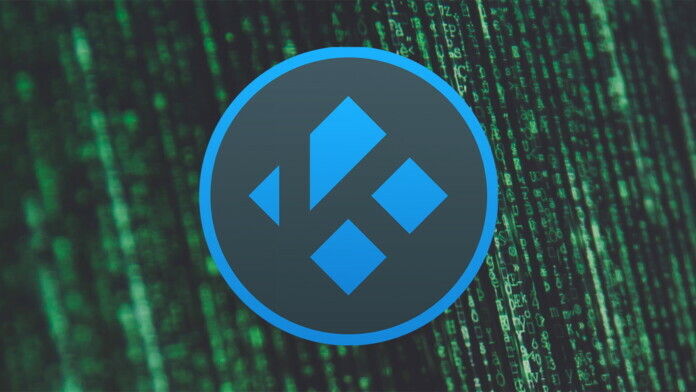 Here are the best Kodi troubleshooting guides you’ll find on the Web – capable of resolving pretty much any technical problem. In the end, we’d like to ask you to share this article online with fellow Kodi users. And don’t forget to follow TechNadu on Facebook and Twitter. Thank you!